SCD Group: How does your association greet its members? 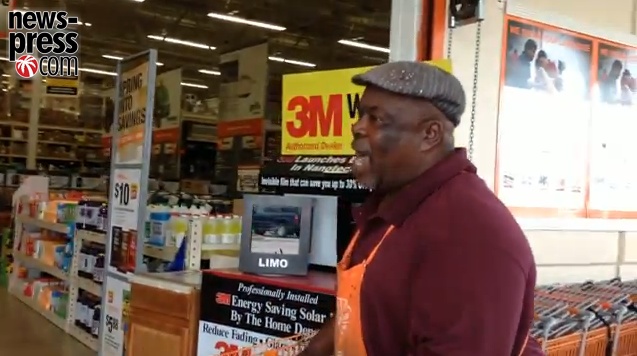 Walking in to Home Depot this weekend, we were welcomed by Ken Williams ... a singing greeter! It shouldn’t surprise you that such a warm and friendly greeting lifts your spirits as you start your shopping experience. Nor that you leave this Home Depot with a really positive outlook on the store and company. how annoying it is when the grocery store cashiers are more interested in talking with each other or the baggers than talking with the customers. So, this gets me to thinking: how good are we as associations in conversing with our members (or prospects) ... when the boss isn’t looking? I called my receptionist our “director of first impressions” because members/prospects/media received their first impression when she answered the phone and/or greeted guests at the door. I provided all staff at our conventions/meetings with a sheet I labeled “Our Time to Shine.” It provided suggestions/requirements on how to act during the meetings ... and that included after hours. Because as staff, we are ALWAYS on stage even in the bar at midnight. What are you doing to give your members a very positive feeling when they interact with your staff? Great post, Steve. Wonderful message about being on display at all times (event midnight in the bar!) in addition to giving members a warm welcome that shows true appreciation.